Soak up some Spanish sunshine on the Costa Brava. We stay in the beautiful resort of Malgrat de Mar in the northeast of Spain. Blessed with stunning golden beaches, it’s the perfect spot for some Solos sun. 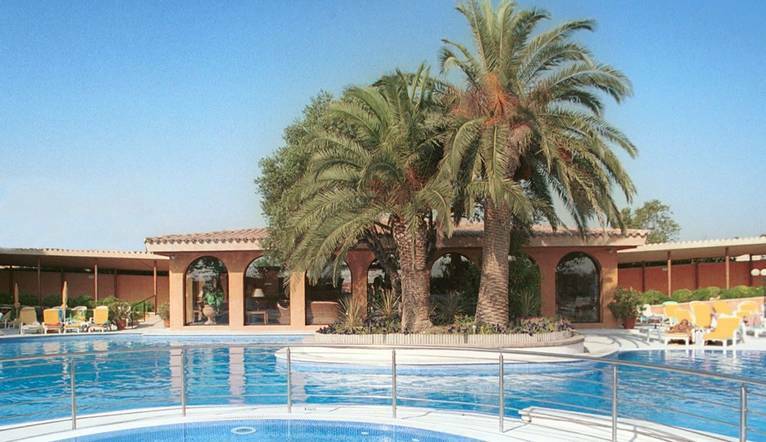 Malgrat de Mar is located between two of the most popular resorts of the area; Calella and Lloret de Mar. It has long been a popular seaside retreat, established as a favourite for British holidaymakers. The resort is a mix of old and new with century old buildings and main attractions all in one. Malgrat de Mar boasts 3 distinctive beaches, all offering different activities. The Conca Beach is the place to be for watersports and those that love nature, as it is one of the few places where agricultural areas meets the beach. The second beach is The Malgrat Centre Beach which is around 900 metres in length and is blue flag certified. Also known as the “local’s beach” it is frequented by people from Malgrat. The third, at the heart of the hotel area, you will find Astillero Beach. The most popular beach from all three is a favourite with tourists, with an array of activities to keep people busy or alternatively just sit on a sun lounger and relax under the gorgeous Spanish sun. When we are feeling peckish, or thirsty, all three beaches are connected by a beautiful waterfront promenade, which is lined with sea-view restaurants serving up delicious food and local tapas, and bars where we can sip on sangria and cafes. As the sun goes down, the nightlife in Malgrat de Mar has something for everyone, whether it be a low key night out in one of the local tavernas, or for those that like the party scene, there are discos and karaoke bars lining the beachfront promenade. One the days where we want to do more than sunbathe, there are a number of sightseeing options to keep us busy. We can travel back in time and discover the history of the monastery sitting high in the mountains of Barcelona –Montserrat; one of the most popular tourist attractions you can enjoy stunning views overlooking Catalonia. Alternatively, take a trip to Girona, known for its landmarks like its Gothic cathedral. With the cosmopolitan city of Barcelona just an hour away, we can enjoy iconic attractions such as Sagrada Familia and the old gothic quarter, and indulge in some shopping while walking through the famous fashion district. Located just a 5 minute stroll from the beach, bars and restaurants, our hotel is in an ideal location for the perfect sun holiday. Guest rooms feature air-conditioning, telephone, satellite TV, hairdryer, free Wi-Fi, safe (additional charges apply) and balcony or terrace. Transfer time from Barcelona airport to Luna Park Hotel is approximately 1 and half hour. You may wish to take an optional excursion during the course of your stay. Full details will be given at the Information Meeting, including all prices. All tours can be paid for Euros. Your Tour Leader will help arrange these for you but may not necessarily accompany you.